Smith served as BBAHC board chair for 22 of her 30 years as a director, one of many roles over a nearly 50 year career. She succumbed to leukemia in Seattle Tuesday, just five days after her 70th birthday. H. Sally Smith of Dillingham passed away Tuesday at the age of 70. The longtime chairman of the Bristol Bay Area Health Corporation board of directors has died. Mrs. H. Sally Smith of Dillingham succumbed Tuesday to leukemia. She was 70. 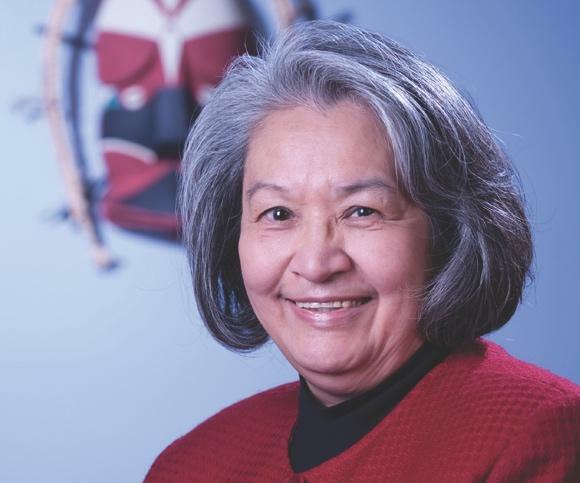 Over her long career, she served on a long list of boards, commissions, and committees, always advocating for the health challenges and sharing the success stories of Alaska Native people. Sally Smith was a leader in Indian and tribal health care in Alaska like few others. It was a field she worked in for close to five decades, and along the way she received many awards. Those included the National Indian Health Board’s highest recognition, The Jake White Crow Award, the Alaska Federation of Native’s Shirley Demientieff Award, the YWCA Woman of Achievement Award, and she was honored by the members of the Alaska State Legislature after receiving the 2014 Legacy and Leadership Award presented by the Healthy Alaska Natives Foundation. Attention, however, was something Sally Smith never sought, and was always a little embarrassed by, says her son Jacques Smith. “My mother worked very hard, but she was a very modest person. Nothing she did was ever to receive an award, and that’s a very Native Alaskan way of being. She did everything to help Native Americans throughout the country, and not many people know the story. She would actually be very happy with that, because she was doing it just purely to help people with cancer, and diabetes, alcoholism … everything she did in her life she did to help others." Sally Smith was raised in Clark's Point, lived in Dillingham, and has been on the board of the Bristol Bay Area Health Corporation for 30 years, serving as its chair for 22 years. There is a long list of other titles she held, including chairman of the National Indian Health Board, vice chairman of the Alaska Native Tribal Health Consortium, and chairman of the Alaska Native Medical Center. Sally Smith is spoken of in warm, fond terms by friends and colleagues, and is recognized for bringing good judgment and sound leadership to the BBAHC board. In 2014, the Healthy Alaska Natives Foundation presented Sally Smith with its Legacy and Leadership award. In a video on that occasion, current Health and Social Services Commissioner Valerie Davidson was one of several who paid tribute. Smith battled leukemia for several years, splitting time between Anchorage and Seattle for treatment, but continued to till the end of December. She died Tuesday in Seattle. Condolences, says Jacques Smith, have been coming in from all over the world, including a call from the White House. A funeral service is planned in Anchorage on January 20, and a second service in Dillingham on January 22. Reach the author at dave@kdlg.org or 907-842-5281. This article was corrected to say that Smith worked through the end of December, not several months ago as originally stated.